Offering Sports Massage, Injury Management, Injury Prevention, Exercise Rehabilitation & Postural Assessments. 10% offered to all PECO XC league runners on EVERY treatment! Just quote PECO at the time of booking. Call 0113 887 1449 to book an appointment. The PecoXC League is on Twitter. Please follow for up to date info. The Peco XC League have received a certificate from the Yorkshire Air Ambulance. 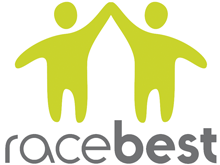 Thanks to all - We donated £1000 last year and have donated £3,300 in total. This is the home page of the PECO XC League, supported by Yorkshire Runner. There are pages for each race, and separate pages for the cumulative team results and the cumulative individual results for men and ladies. 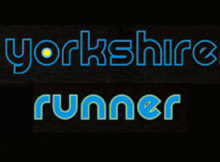 Yorkshire Runner can help you find the right running shoes, apparel and accessories, whether you are a casual runner or a marathon veteran. You’ll receive personalised service and expert advice in our Otley shop. Keep up with the latest news on products, training tips, running routes, events and the running community. Find us online, or sign up for our newsletter. We are located at 38 Bondgate in Otley, next door to the fantastic Bondgate bakery and 3 doors down from Chevin Cycles (voted UK's No. 1 Independent Bike Store) Free 4 hour parking is available at Sainsbury's car park across the street. The relay results are now available on the relay page. The CSPC 90 minute runner’s full body MOT includes a full body assessment, analysis of running technique and a detailed report with the physiotherapist’s findings and prescription of a personal exercise plan including specific running retraining drills for you.